Your child's learning and development is our most important goal, providing them an education that will give them the best possible opportunities in life. 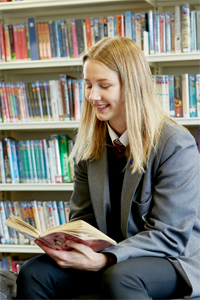 By offering to each student a wide range of education pathways and exciting extra-curricular activities, we seek to accommodate many and varied talents and aspirations. This demands the provision of both quality teaching and high quality opportunities. Through continually improving our own teaching and learning, and simultaneously developing our students', independent learning skills, we guide young people on their journey to further and higher education or skilled employment. Our active encouragement of independent thinking, self-reliance and social responsibility helps students grow in confidence and take responsibility for their development as rounded individual's.